Wikipedia describes Social Media Marketing as a recent addition to organizations’ integrated marketing communications plans. Integrated marketing communications is a principle organizations follow to connect with their targeted markets. It coordinates the elements of the promotional mix; advertising, personal selling, public relations, publicity, direct marketing, and sales promotion. In the traditional marketing communications model, the content, frequency, timing, and medium of communications by the organization is in collaboration with an external agent, i.e. advertising agencies, marketing research firms, and public relations firms. However, the growth of social media has impacted the way organizations communicate. The internet provides a set of tools that allow people to build social and business connections, share information and collaborate on projects online. Social media has become a platform that is easily accessible to anyone with internet access, opening doors for organizations to increase their brand awareness and facilitate conversations with the customer. Additionally, social media serves as a relatively inexpensive platform for organizations to implement marketing campaigns. 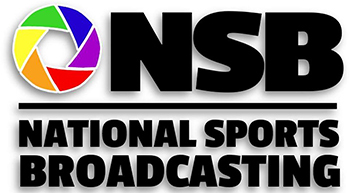 National Sports Broadcasting is positioned with the knowledge needed to assist your company with incorporating Social Media Marketing into your current business strategy.